Visiting Córdoba isn’t a bad idea at any time of the year, but if you time things just right, you’ll be lucky enough to come during one of Córdoba’s many festivals and experience the city in a very unique way, side by side with the locals. It just so happens that the majority of Córdoba’s festivals fall in the month of May, making it an entire month filled with music, food, drink and celebration. Is the first festival in Córdoba that happens in May.The entire city takes part in this weeklong festival where normal city plazas are turned into little bars, complete with lively music, food and drink, and of course, a huge cross in the middle of it all, crafted from colorful flowers. The locals hang out under the crosses, listening to music and dancing the night away. This festival is all about being outside with your friends and dancing the night away in preparation for the city’s annual fair, which takes place about two or three weeks later. Is the next major festival in Córdoba in May. Each year people all around the city decorate their indoor patios with breathtaking flower arrangements and unique flower pots hung all along the walls. The local people even find ways to incorporate the water fountains within their patios into their breathtaking designs. Historically, houses throughout the hot South of Spain were built around these stunning indoor courtyards because they were intended to be a cool place to escape to in the summer. 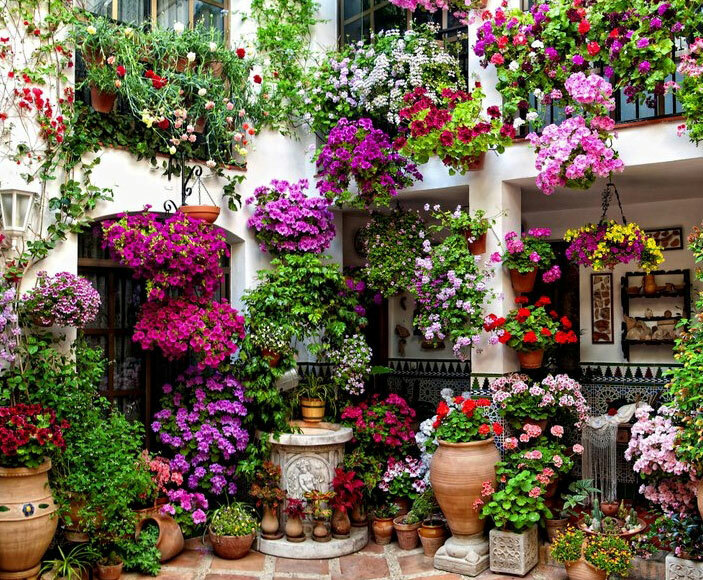 Nowadays, people work hard to create a beautifully decorated patio, and visitors from all over the world (and from Córdoba, too!) take their time to go around to see them all and vote on the best ones. Generally takes place the last two weeks of May. Unlike the Feria de Abril de Sevilla, Córdoba’s fair is completely open, and people are free to go in and out of the many tents set up with all kinds of music. Typically, Spanish women dress up in beautiful flamenco dresses and spend the day (or night) of drinking, dancing and eating with friends and family. The women’s dresses come in all sorts of fabrics, colors and designs, and going to the Feria de Mayo is just as much about having fun as it is about seeing what dresses other women have decided to wear. 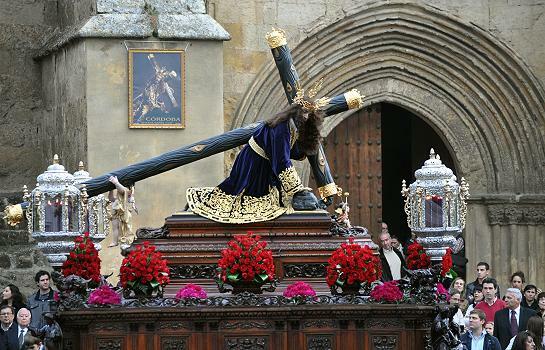 Finally, one more festival in Córdoba that is worth noting is the infamous Semana Santa, which is Spain’s version of Holy Week. Throughout the entire week, there are processions throughout the streets with humongous floats with statues of Jesus and various virgins. The floats are carried by groups of men, and behind the float there is generally a trail of other people playing instruments or carrying incense. These processions are a truly unique aspect of the South of Spain, so if you find yourself in Andalucía during this particular week, don’t miss out on seeing one.